We look forward to sharing our upcoming vintages with you. 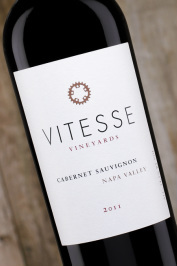 If you have any questions please email us at hi@vitessevineyards.com. We're building a dedicated "grupeto" that shares a love of wine and cycling and would like to stay in touch. Since we have limited quantities of our wines, we want you to have any up-to-date information on new releases, special offerings, events and other offerings down the road. To be added to our Mailing List, just give us your contact information in the form below. We will add you to our Vitesse Equipe Mailing List, where you be put towards the front of the paceline to receive offers and special announcements.